Coriander leaves act as perfect antibiotics. The leaves contain borneol chemical substance which helps in tackling various digestive problems. Additionally, the use of these leaves in daily diet in small quantities can also help in curbing problems like gastric inflammation, high blood pressure, flu, etc. It is a well-known fact that coriander is an excellent antioxidant. Due to the presence of certain acids, it helps in curing various skin diseases like eczema, rashes, inflammation, etc. Coriander leaves can also protect your skin from wrinkles. The components in coriander have anti-ageing properties which can help in rejuvenating your skin. There are many health benefits of using coriander and the most important one is that it contains anti-cancer properties. Coriander acts as an anti- cancer agent for the body because it has antioxidants like beta-carotene, caffeic acid, ferulic, etc. These antioxidants lessen the risk of cancer in the body and also help in its eradication. Consuming coriander leaves is essential for people who are suffering from cholesterol. Cholesterol can eventually lead to serious health hassles like heart problems and diabetes. Due to the presence of sodium and potassium, coriander leaves help in reducing the level of cholesterol in the blood. Intake of coriander in any form can be helpful for improving eye-sight. Coriander also aids in curing various eye problems like conjunctivitis, dry eyes, etc. Well, having coriander only for the sake of health can be quite monotonous. 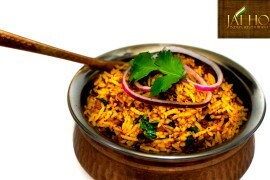 Head to an Indian restaurant in Melbourne and cherish the goodness of coriander in Indian cuisine.